Few months back I had discussed about Future of Solar power. GE which is major player in Solar energy, has released an InfoGraphics explaining the Future of Solar power. The U.S. Government has recently set ambitious goals for renewable energy. 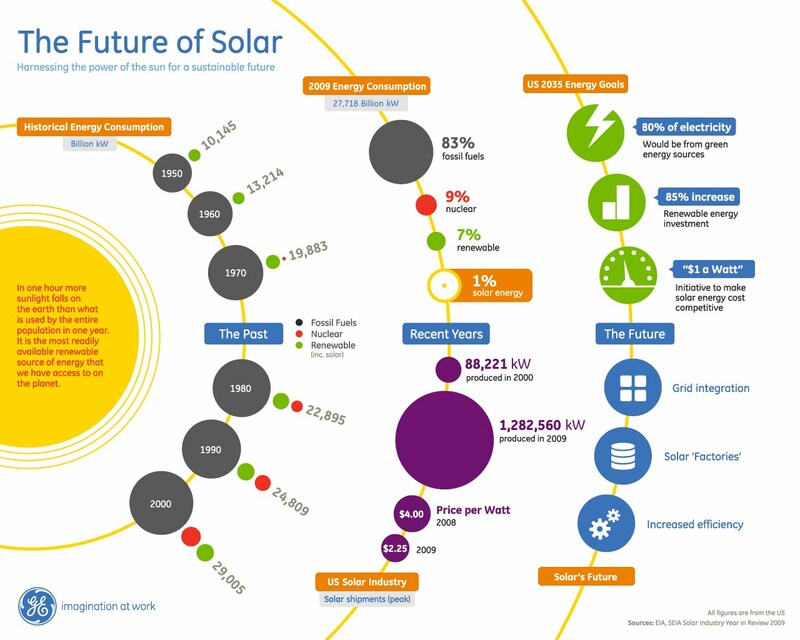 Here, we take a look at the energy landscape over the past 60 years and the role of solar energy in achieving those goals.